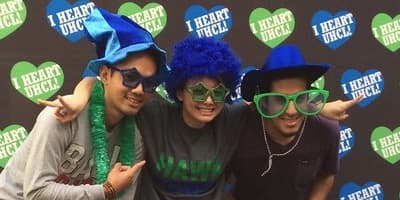 You’re at UHCL to get the experience and knowledge you need to pursue the career you want. There’s no substitute for experience, which is why hands-on internships and paid co-operative education opportunities are such a vital part of many of our programs. We’re big believers in the notion that you’ll learn what it takes to succeed in the real world by working in the real world. If you’re going to start, start big: The College of Business has partnerships with some of the world’s most prestigious companies, and our students have the opportunity to complete internships, cooperative education opportunities or practicum experiences at several of them. Houston – the nation’s fourth-largest city – is known as an energy hub, but there’s much more here: Our students have worked at places including T-Mobile, Bank of America and many more. Our nationally recognized Professional Development School Internship puts you in the middle of a classroom while you’re still an undergraduate. This two-semester program in the College of Education pairs you with a master teacher who will give you the kind of guidance and advice it would take years to learn on your own, all while learning every aspect of teaching in some of the state’s best school districts. 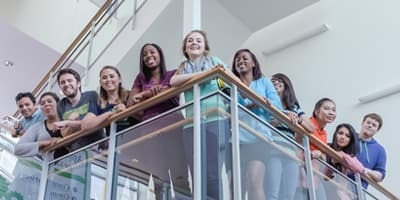 Students in the College of Human Sciences and Humanities can find internships available through more than 300 partners, and one is bound to be a match for you. Communications students, for example, have interned at Country Music Television network in Nashville, students in our school psychology program have interned in several local school districts, and scores of other opportunities are available with organizations such as the NASA Johnson Space Center and the University of Texas Medical Branch at Galveston. In a place that helped orchestrate a moon landing, you’d think there would be plenty of science and tech opportunities. And you’d be right. Houston is home to more than 400 software developers, 160 biotechnology businesses and some of the country’s top research facilities. Whether you’re a computer science student working on prototypes for a start-up software developer or participating in one of more than 70 internships or co-op programs with organizations such as NASA and Boeing, our College of Science and Engineering will pave the way for you to get an up-close look at innovations that may change the world. You can receive permission to work off campus for an internship, co-op or practicum. A student with an F-1 visa may also qualify for Optional Practical Training (OPT), temporary employment that provides work experience related to his or her field of study. Those in STEM fields may qualify for a 17-month OPT permit; others qualify for one year. 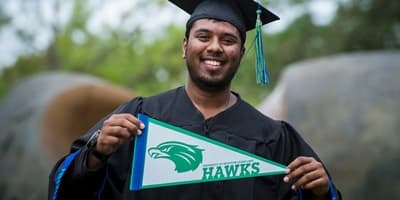 The UHCL Cooperative Education Program (Co-op) is a planned learning process that integrates classroom studies with supervised work experience. Co-op students are enrolled in a graded course, offered for credit, which requires them to work in a paid position related to their current field of study.